Porsche Design and Research In Motion have today launched its luxurious smartphone, the Porsche Design P’9981 from BlackBerry in India. You have seen it and now it is finally here. The smartphone is made from exclusive materials and includes a forged stainless steel frame, hand-wrapped leather back cover, sculpted QWERTY keyboard, and crystal clear touch display. The customized Porsche Design P’9981 comes with an exclusive Porsche Design UI and a bespoke Wikitude World Browser augmented reality app experience. The smartphone also includes a premium, exclusive PIN that easily identifies the user as holder of a Porsche Design P’9981 smartphone from BlackBerry. On the hardware side it runs on a 1.2 GHz processor and has BlackBerry’s patented Liquid Graphics technology. It also features a 5MP camera with HD video recording, 24-bit high resolution graphics, NFC (Near Field Communications), 8 GB of on-board memory with microSD expandable memory card slot and runs on the BlackBerry OS 7. 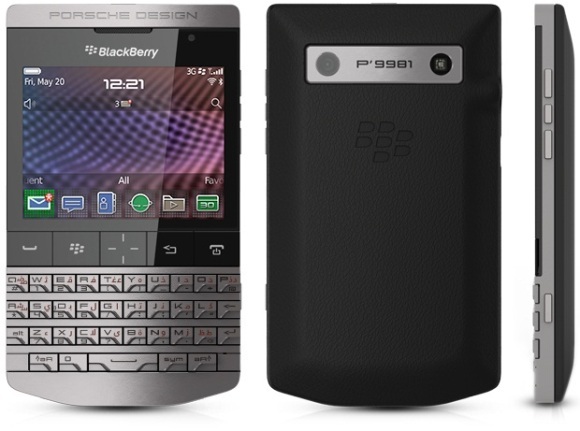 The Porsche Design P’9981 smartphone from BlackBerry will be available at select BlackBerry Premium and BlackBerry Exclusive stores in India for Rs. 1,39,990.